Extend the life of your favorite toys with JO Toy Cleaner.With a convenient pump dispenser, JO Toy Cleaner is an easy-to-see foam that ensures total coverage of your toy. 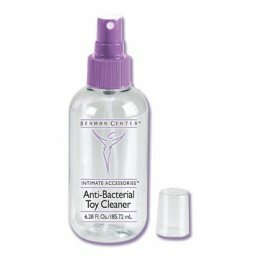 It safely disinfects any toy without harsh chemicals, glycerin, alcohol or parabens. It's gentle, odorless and body safe. Compatible with latex, rubber, silicone, glass and metal toys. Spray on toy before and after use. Wipe with damp cloth and let air dry.